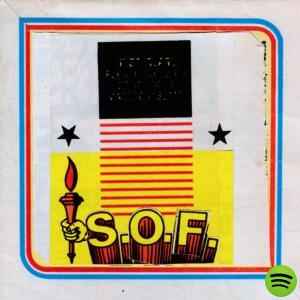 Soldiers of Fortune describe themselves as an "anti-band" that set out to write no songs, not record anything and just play the occasional gig. Given that "Early risers" is their second album they appear to have failed in their goal. They're certainly not a commercial band though - "early risers" isn't a radio-friendly kind of album. It's got a bit of a random feel to it - this doesn't have a consistent feel to it and doesn't gel as an album. The songs are generally guitar-heavy and there is definitely some good stuff on this album, but it's just too erratic - like they just recorded whatever ideas they had without any thought going into it. "Early risers" is out now on Mexican summer.